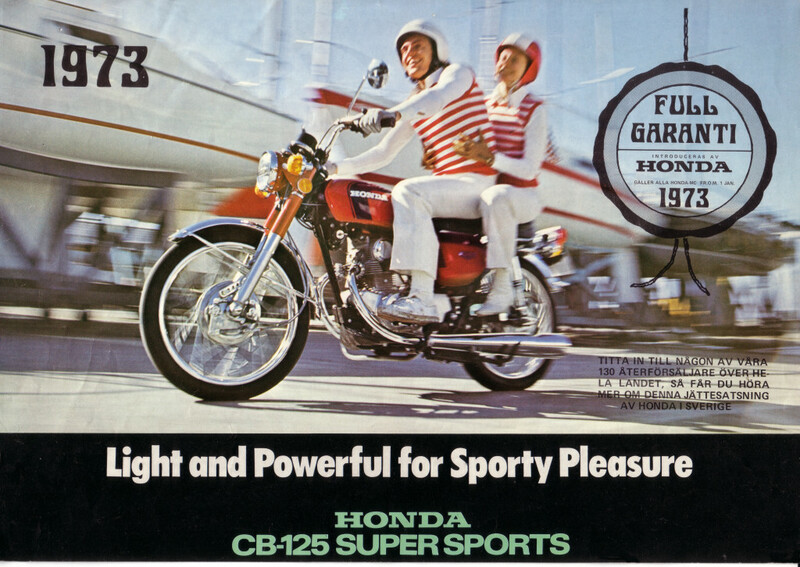 From 1968. when the early racy appearance of most Hondas was being exchanged for the more staid yet successful line exemplified by the CB250, some sub-250cc machines in the range were allowed to carry on with the original look. 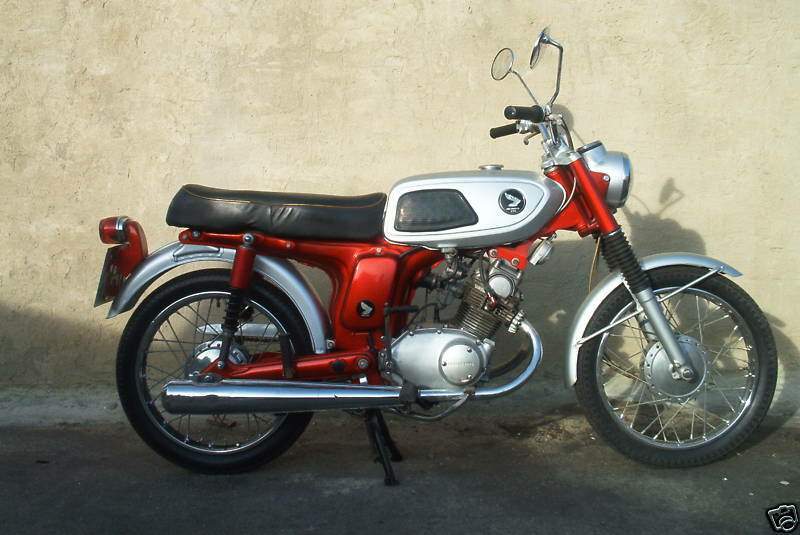 The 125SS of 1970. with a sohc engine inclined at 30° and mounted in a 'T-bone' frame, was one of these. Operating on a compression ratio of 9.4:1, with a Keihin vacuum-controlled carburettor, the engine would soar to 10,000rpm. which worked out to approximately 70mph; while it returned at least 80mpg at 50mph.